Only a week before the largest classic car auction in the Southern Hemisphere, Gosford Classic Car Museum Closure has attracted massive international attention with a surge in bidding following the Formula 1 Australian Grand Prix. 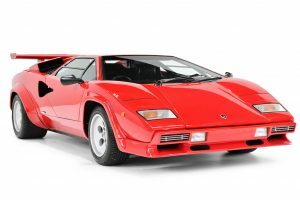 “We were flooded with inspection bookings for these rare and pristine vehicles just after the Melbourne Grand Prix weekend on March 17, which confirms to us that there is very strong interest in these cars from people overseas,” said Lee Hames, Chief Operations Officer for Lloyds Auctions. “The amount of registered bidders we have had from the United States and more particularly the United Kingdom has been incredible. We have seen hundreds of enquiries pour in over recent days,” said Mr. Hames. “It doesn’t surprise me that there is so much interest in these cars pouring in from overseas,” said Mr. Alan Jones, Formula 1 World Champion. “Europeans in particular scour the globe for quality un-weathered cars and these vehicles are not only in immaculate condition but are unaffected by snow, salt and rust like in Europe,” Mr. Jones continued. The collection of over 200 cars, bikes & memorabilia located in a converted Bunning’s warehouse is described by many as a flawless collection. With the museum doors now closed, this auction represents the last chance for many to see or own a part of this magnificent display. “International bidders have been flying in to inspect these cars for purchase, so it will be an interesting auction to see where all of the cars ultimately end up,” said Mr. Hames. Multiple cars are expected to achieve 7-figures with enthusiasts anticipating the total collection could sell for in excess of $30 million. Many cars are already sitting at strong 6-figure amounts. With such a wide range of vehicles including Luxury European, Eastern European, Australian, American and even classic motorcycles, Lloyds Auctions are expecting thousands of people to the auction weekend based on the amount of enquiries and inspections received over the last few weeks. “The demand has been unprecedented from bidders and fans of the collection, with free ticket sales spiking as soon as we opened the system on our website and VIP ticket sales not far behind. We expect thousands on the day,” Mr. Hames continued. “We strongly encourage anyone who wishes to attend the event to register for tickets on our website now so they don’t miss out,” he said. There is certainly no shortage of surprises in store for this massive weekend of historic motorcars in West Gosford, NSW. Inspection bookings are available every day up until the event. Doors open to the Gosford Classic Car Museum at 8am on Saturday for inspections and a memorabilia auction, and 8am Sunday for the live Classic Car Auction. For your chance to be a part of this historic event, head to www.lloydsauctions.com.au for more information or to secure tickets.